This can be particularly important for athletes who find that exercise causes build-up of lactic acids in the muscles, which the massage can dislodge and replace with fresh oxygenated blood. Swedish massage techniques can help not only relieve physical stress but also emotional stress and can have other medical and therapeutic uses. Swedish massage is known to help with reducing joint pain and stiffness, and has also been known to help those with osteoarthritis. Those who undergo this kind of massage also report to enjoying enhanced flexibility. These particular massage techniques are also thought to help improve blood circulation. Swedish massage is also known as ‘Classic Massage’ in certain areas of the world. These are the sliding or gliding Swedish massage techniques that cover different areas of the body. They are long sweeping strokes that alternate between firm and light pressure and with can be performed using the palm of the hand or the fingertips. The knots and tension in the muscles tend to get broken with this massage technique. This is the technique of kneading the muscles of the body to attain deeper massage penetration. The thumbs and the knuckles of the fingers are used to knead the muscles of the body and to squeeze them to prepare them for the other Swedish massage techniques that follow. This technique of Swedish massage, as the name suggests consists of rhythmic tapping that uses the fists of the cupped hands. This helps to loosen and relax the muscles being manipulated and also helps to energize them. The sides of the hands are used in this massage technique. This move seeks to create heat to bring about relaxation of the muscles. The palms of the hand are rubbed together vigorously with each other, or they are rubbed onto the skin of the person being massaged in order to produce heat by friction. This technique can be used as a warm up for the muscles of the body to be treated for deeper massage. 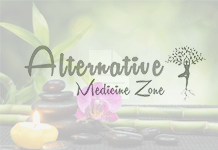 Next articleWhat Is Auriculotherapy? What Are Its Benefits?